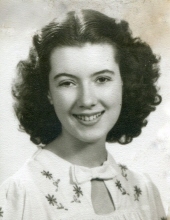 Elizabeth “Betty” J. Morris, age 93, formerly of New Sewickley Twp., passed away on Wednesday, February 6, 2019 while under the care of Passavant Retirement Community in Zelienople. Born July 16, 1925 in East Palestine, OH, she was the daughter of the late Andrew R. Morris and Anna Rose Sanderbeck Morris. Betty was a member at St. Gregory Catholic Church and a former member of St. Ferdinand Catholic Church. Betty was employed as a teacher in four states including California, Washington, Oregon and Pennsylvania before retiring from teaching from the Center Twp. School District. She will be dearly missed and fondly remembered. Betty leaves behind to cherish her memory her siblings, Paul F. Morris and Patricia A. Morris; and several nieces and nephews. In addition to her parents, Betty was preceded in death by seven brothers, Joseph E. Morris, Philip C. Morris, Andrew J. Morris, Robert L. Morris, Francis C. Morris, John L. Morris, and William A. Morris. Friends will be received from 2 – 6 P.M. on Friday, February 8, 2019 at the Boylan Funeral Home, Inc., 324 E. Grandview Ave., Zelienople, PA 16063. A Mass of Christian Burial will be celebrated at 10 A.M. on Saturday, February 9, 2019 at St. Gregory Catholic Church, 2 W. Beaver St., Zelienople, PA 16063. Betty will be laid to rest at St. Mary Catholic Cemetery. To send flowers or a remembrance gift to the family of Elizabeth "Betty" J. Morris, please visit our Tribute Store. "Email Address" would like to share the life celebration of Elizabeth "Betty" J. Morris. Click on the "link" to go to share a favorite memory or leave a condolence message for the family.